Over £1million is being ploughed into the School of Engineering at a North East university, with the investment expected to deliver more graduates with the high-level skills employers in the manufacturing and engineering sector need. The University of Sunderland’s Engineering department is to benefit from additional capacity and improved teaching spaces at its site in the David Goldman building at its Sir Tom Cowie Campus at St Peter’s. New developments will include a dedicated mechanical lab, a fluid lab, demonstration space for hands-on teaching and a new manufacturing lab – each bringing students closer to the real-world environment they will be employed in once they graduate. Modern industry-standard digital equipment is being installed including laser cutters and 3D printers to complement traditional engineering tools, ensuring students are taught engineering through problem-based learning methods using the latest techniques. Dr Rebecca Chandy, Academic Dean of the Faculty of Engineering and Advanced Manufacturing commented: “My own passion for engineering inspired me to teach and motivate the next generation of engineers; the role of an engineer has so much to offer to the community, to the region and to the nation. “We want to be a stepping stone for students pursuing a career in engineering, giving them a great experience on campus, raising their aspirations and helping them move forward to the next stage, whether that is through placement opportunities or supporting businesses to solve real-world problems. 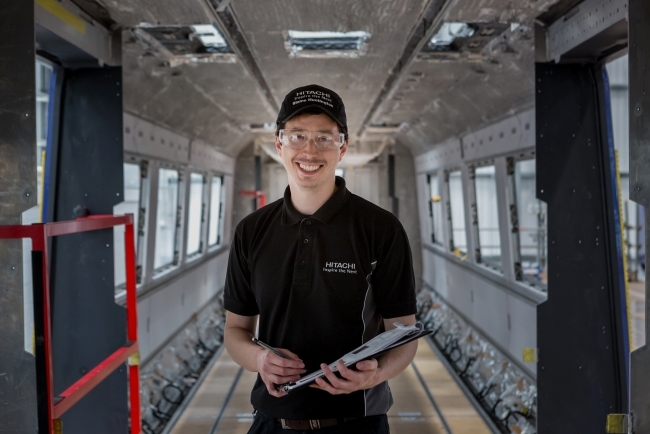 Blaine Huntington Graduate Engineer, Hitachi Rail Europe, Newton Aycliffe added: “Anyone good at sciences who likes working with their hands, I would recommend that they do a degree in engineering – and Sunderland have a very good approach. It’s estimated that in the UK there’s a shortfall of 20,000 graduate-level engineers per year meaning highly qualified engineers are in great demand and therefore able to command competitive salaries. The number of students joining Sunderland’s School of Engineering has already increased five-fold, from an intake of 30 growing to 140 students in four years – with students attracted to the University’s teaching, links with industry and the varied and lucrative career opportunities that this sector offers to graduates. 100% of Sunderland’s Engineering graduates are in work or further study within six months of graduating, with 96% of these in professional or managerial roles. (Source: 2014/15 – Destination of Leavers from Higher Education survey) and Engineering at Sunderland has a 100% student satisfaction rate according to the NSS (National Student Survey). In addition Sunderland’s School of Engineering programmes are in the top five in the UK (Guardian University Guide 2016).